If you’re tired of lugging a mower up garden slopes, or have your eye on a string trimmer you’re in the right place. In this post we explore 6 of the best corded electric string trimmers available to date. We then bring you a buyers guide to help you identify what features you should look for in a great quality corded string trimmer. Why go for a corded string trimmer? If they’re the right tool for the job, you’ll find that there’s no need for you to get a gas or battery powered string trimmer. A corded trimmer is a much more cost effective option, when compared to the prices of their gas or battery powered counterparts. Will I find the cord limiting? For those of you with a small yard or a long extension cable the fact the trimmer is corded won’t bother you. It’s more likely to become a problem if you’ll be wanting to use it remotely, away from a power supply. That really depends on your budget. We urge you to read the buyers guide section so you know what you’re looking for. However, for those of you who don’t have time to read the full article, we found the Greenworks 21142 string trimmer to be our favorite option and you can find out why here. When looking for a great corded electric string trimmer you’ll need to make considerations. These include the length of the cord, the amount of amps that power the string trimmer and a bunch more. We touch on some other considerations later on in the buyers guide. This next section reviews some of your best options available on the market to date. Below we’ve listed 6 of the best corded electric string trimmers around. Our first review of this year’s top of the line corded string trimmers begins with the Black and Decker GH900 model. The Black and Decker Gh900 is a corded string trimmer that pledges to deliver continual landscaping work without interruption. The GH900 is equipped with a 6.5 amp motor coupled with a high torque transmission that is designed for maximum performance for your lawn and landscaping needs. This trimmer is constructed to be lightweight and has an ergonomic design that makes using this trimmer more comfortable. The adjustable height and pivoting handle make your trimming projects a breeze. Our next review is for another member of the Greenworks family of trimmers the 18 in 10 amp corded string trimmer with available attachments. This 10 amp Greenworks trimmer is designed to be lightweight and features a simple electric start and cord lock feature for ease of use during trimming. The Greenworks has one of the largest cutting paths of the trimmers that we’ve reviewed so far at an impressive 18 inches. Having a larger cutting path can cut your trim time in half as you cover more ground so you can spend less time trimming and more time admiring your newly manicured landscape. Introducing yet another member of the well know Black and Decker family trimmers, the ST8600 5 Amp Electric String Trimmer. This Black and Decker trimmer has a wide cutting path at 13 inches that is built for powering through your tough outdoor landscaping projects. This trimmer features a PowerDrive transmission and automatic feed spool that automatically feeds your trimmer line during your trimming sessions. The PowerDrive transmission and automatic feed pair up with the retractable cord retention system that manages and retracts the power cord as needed to prevent accidental disconnection while you work. This trimmer is sure to delight and take your lawn and landscaping projects to the next level with a built-in edge guide that allows for precise edging for that final polished and manicured look. The Greenworks Trimmer has a 13-inch cutting path and a 4 amp motor. This trimmer has an unlimited runtime when connected to a reliable power source and is ideal for use in small to medium landscaping projects. This 4 amp trimmer is lightweight and easy to use at only 7 pounds. The Greenworks trimmer features an automatic line feed that offers time savings to make your trimming projects run smoothly. 0ne of the best-corded string trimmers in its class, this trimmer is built for performance and since it never requires a battery or charger its guaranteed to run as long as its connected to a reliable power source. The 120-volt Greenworks trimmer is designed to deliver smooth operation and less noise during use than comparable trimmers in its’ class. Moving on to another member of the Black and Decker family, our next review is for the Certified Refurbished GH3000R Curved Shaft Electric Trimmer. This two in one certified refurbished trimmer and edger touts itself as being a high-performance electric string trimmer and edger. The GH3000 is certified refurbished which means that it is guaranteed to perform just as well as its brand new counterparts (if not even better) and other comparable string trimmer edgers in this category of trimmers. This high-performance trimmer delivers 120 volts of electricity during use and it weighs in at just under 9 pounds. The lightweight design and curved frame make for ease of use during your outdoor landscaping projects. The GH3000 has built-in dual functions for both trimming and edging. The last trimmer that we have to look at is the Earthwise ST00009 String Trimmer. This super lightweight trimmer is designed for handling your smaller and less demanding landscaping projects. Coming in at just under 4 pounds this featherweight trimmer packs a powerful trimming punch. The Earthwise trimmer features dual cutting lines and a nine-inch cutting path for taming smaller lawn and landscape areas. Externally the trimmer is built with an external UL certified waterproof plug and cord retention hook. This lightweight trimmer weighing in at just under four pounds operates at an astounding 11,000 RPMs so that you can tackle your smaller yard projects quickly. The corded string trimmers we’ve reviewed for this post are all excellent quality. However, you’re not going to buy every one of the strimmers we looked at. After careful consideration we’ve made a decision and have identified our favorite. After plenty of thought and careful deliberation we found the Greenworks 21142 to be the best corded electric string trimmer! At 18 inches, it’s got the biggest cutting path out of all the trimmers we reviewed. It’s got a very impressive 10 amp motor. The comfortable cushioned grip makes it nice and easy on the hands. It’s highly cost effective considering the specs you get. Although we’ve found our favorite, we feel the Earthwise ST00009 is worthy of a special mention. If you’re looking for something cheap and lightweight for small gardens this is a great option. Overall it’s important to recognise the high level of quality held by the trimmers we reviewed. We’ve reviewed some of our best picks for corded electric string trimmers available this year. Coming up next is our buyers guide to help you make an informed buying decision for your next trimmer purchase. Corded electric string trimmers are designed for cutting grass, weeds, and other landscaping foliage for maintenance or beauty. Corded string trimmers operate the same as their gas and electric counterparts while providing the ability for unlimited trimming sessions while connected to a stable power source. When choosing your new corded trimmer there are many factors to consider. One of the most important factors that you want to consider when choosing a corded trimmer is the amount of time that you are going to spend on your project and the project size. Keeping project duration and size in mind you can decide which trimmer is going to best suit your needs. There are many viable options available for corded electric trimmers (as you can see from the reviews above) that provide for you to purchase the best trimmer for your individual needs. If you’re working on projects that require a lot of time or intricate details in order to achieve the desired landscaping results, then you’ll want to consider a lighter weight trimmer to avoid fatigue while completing your project. If you’re looking for your first string trimmer and need a bit more info head over to this wiki page. Many factors contribute to choosing your unique trimmer. Consider how long you feel that you will be able to work with your selected trimmer. Will you be more comfortable working with a lightweight trimmer for a longer amount of time or a heavier weight trimmer for a shorter period of time? These are all great questions to ask yourself before you buy. Other factors to consider are the power behind your trimmer. 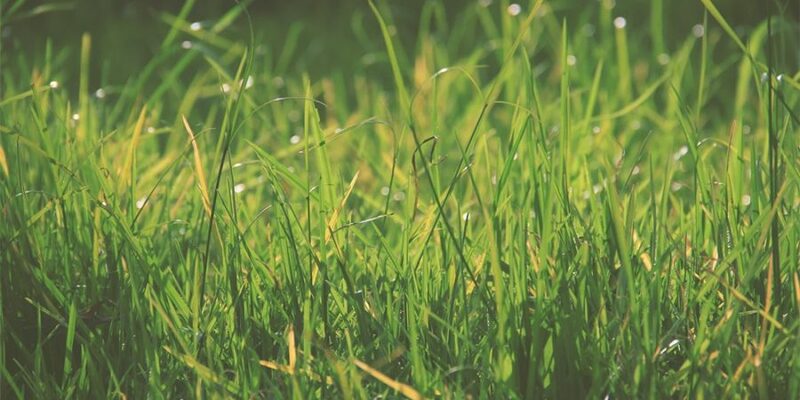 If you have a tougher landscape to tackle you may want to look into higher performance trimmers to remove unwanted grass, branches, and brush. Take a look at this list of important factors to consider when preparing for your next corded electric string trimmer purchase. Consider the amount of power that your trimmer can deliver and choose between regular or high-performance models. Many trimmers are available with multiple line features such as stronger lines, longer lines, and dual lines. Consider the landscape that you need to tackle in order to choose a trimmer with the best cutting lines for your individual projects. Related to the cutting lines is the cutting path. The cutting path is the width of the pathway that your trimmer is able to cut. A trimmer with a larger cutting path will get your trimming job done more quickly but will not provide for precision landscaping. This is a major factor. As we discussed previously choosing a trimmer that you feel comfortable in handling is critical to the success of your trimming projects. Try handling several trimmers with different weights to get the right feel for you before you buy. If your ultimate goal is to create a well-manicured landscape or lawn, then you’ll definitely want to consider trimmers with added features to achieve your desired result. Accessories such as retractable cords, pivoting handles, and other available trimmer accessories can make all the difference in your next trimming project. When shopping for your next corded electric string trimmer, consider the end result that you want to achieve and then purchase the trimmer that is most in line with the goals that you have set for your project. Some trimmers are designed as trimmers only for cutting grass and weeds, while others are built with dual functions to add edging and other features for precision landscaping. Trimmers are designed with either a straight or curved shaft. Straight shafts are more functional in tight spaces and provide an extended reach. Curved shaft trimmers are good for trimming open areas and wide spaces, but don’t provide as much maneuverability as their straight counterparts. Some states like California have special legal considerations and requirements in place for the use of lawn and landscaping equipment and their related chemicals. Be sure to check the rules and laws of your state or local governing authority to assure that you are complying with all relevant laws before choosing a trimmer and related chemicals or accessories. California’s Proposition 65 is an example of one state that is very serious about its landscaping and related equipment use and laws and has implemented rules and regulations to protect the state’s drinking water from contamination that can be caused by an influx of certain chemical runoff from lawn, landscaping, and other equipment. In order to be safe instead of sorry check your local rules and regulations before you buy. How do I know which trimmer is going to be the easiest to use? After comparing the features and functions of available trimmers, try to handle a few trimmers of different sizes to get an idea of what your personal trimming experience will be like. Choose a trimmer that feels most comfortable for you. What is the main difference between curved and straight shaft trimmers? The main difference between the two is reach and manoeuvrability. Straight shaft trimmers provide a longer reach and more manoeuvrability than curved shaft trimmers. Why do I need to check local regulations before using my trimmer for landscaping my own yard? Certain states have special rules and laws in place related to chemical use when operating lawn and landscaping equipment. The most notable case for this is California’s Proposition 65. Be on the safe side and make sure your state or municipality doesn’t have similar laws in place. Now that we’ve gone over trimmer reviews and provided you with a buyers guide you should feel ready. By this we mean confident when venturing out to complete your next corded electric string trimmer. If you’re looking for commercial grade string trimmers check out this post.